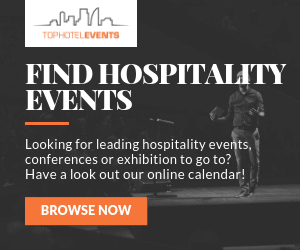 Azerbaijan will host the Intour Summit on June 4 and 5 this year, which is the region’s foremost travel summit, drawing attendees from all corners of the hospitality industry. Over the course of two days, delegates will network with over 1,000 other industry professionals, and listen to over 70 speakers dive deep into the current market trends. We find out more. Azerbaijan is one of the most important countries in Central Asia, and boasts the frontier of the meeting of East and West, making it a melting pot of different cultures. It is an ideal place, then, for the Intour Summit, the country’s and the region’s most prominent hospitality conference. Delegates and industry professionals will make their way from all corners of the globe to attend this two-day event, which promises to be full of inspiring and engaging talks, presentations and networking sessions. It will also gives attendees the chance to discover the amazing city of Baku, the country’s historic city and capital, which has be central to Azerbaijan’s strategy to make the country a player on the world commercial stage. The Intour Summit will guide participants through developments and opportunities in the region. Some of the confirmed speakers at the event include Adrian D`Amico, VP of Booking.com EMEA; Alexis Feuillat, Director of Development IHG for Russia, Ukraine, Georgia, CIS and Baltics; David Jenkins, Vice President Business Development for Russia, CIS, Georgia, Ukraine, Baltics, Balkans and Israel at Radisson Hotel Group; and Sergey Egorov, Director of Development for Russia and CIS at Wyndham Hotels & Resorts. Speakers will present information, research and data around current developments in the industry as well as future trends and projections. A diverse array of sectors will be in attendance, from tech startups, media groups, hotels, airlines, investors and tour operators, and networking will be encouraged in the B2B meeting zone, as well as through pre-arranged meetings, coffee breaks and drinks receptions. With the Central Asian market growing quickly, the Intour Summit promises to be a great opportunity to find out about the region’s pipeline and meet potential partners in the area. More information available here.